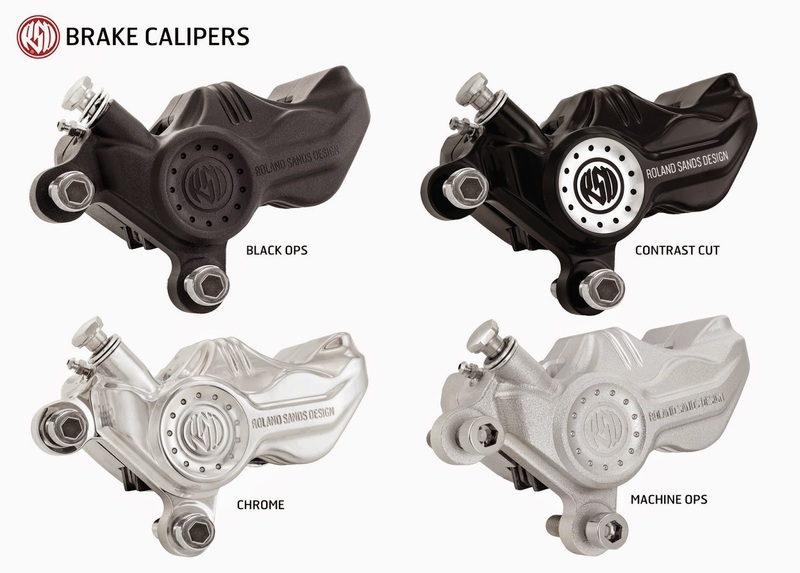 We’ve taken the best of brake caliper technology, high quality precision machining and trademark RSD styling to create the next step up in braking power for your V-Twin. With GP racing architecture and weight distribution, the extra rigidity maximizes your effort at the brake lever, stopping you faster with more feel. Roland Sands Design brake calipers coupled with RSD Radial master cylinder are the ultimate V-Twin braking system providing unparalleled feel and power. Roland Sands is from Long Beach, California. His diverse upbringing encompasses just about every aspect of the motorcycle industry. His first motorcycle was an RM50 dirt bike given to him on his 5th birthday, on which, after just minutes of riding, he broke abone… but fell in love with it anyway. His love of speed on two wheels took him to the professional racing ranks for 10years. He set multiple track recordsaround the world and was the 1998 American Motorcyclist Association 250GP champion. However, 32 broken bones later, Roland decided to trade in his racing leathers for a hammer, pencil and computer designing and began building motorcycles and custom motorcycle products. In 2005, he founded Roland Sands Design. Sands’ designs are a mixture of sport bike and chopper influences and he has played a pivotal role in popularizing high performance custom bikes.Roland and his designs (motorcycles and products) have earned many accolades throughout the years, including three V-Twin Wheel Design of the year awards; V-Twin Control Design; Chip Foose Design of Excellence Award in Sturgis; 2nd, 3rdand 4th place in the Modified Harley class at the World Championship of Custom Bike Building; V-Twin Trendsetter of the Year award; Biker Build OffChampion on the Discovery Channel; Biker Build Off Rookie of the year and the 2Wheel Tuner Brappy Award. Roland and the RSD fleet of custom motorcycles have been featured in more than 500 magazine articles worldwide, on more than 100 magazines covers. He attends most American motorcycle rallies and events year round, as well as multiple International shows. Sands has also starred in a variety of TV shows including Nitro Circus, Chopper Nation, Biker Build Off, Thunder and many others.